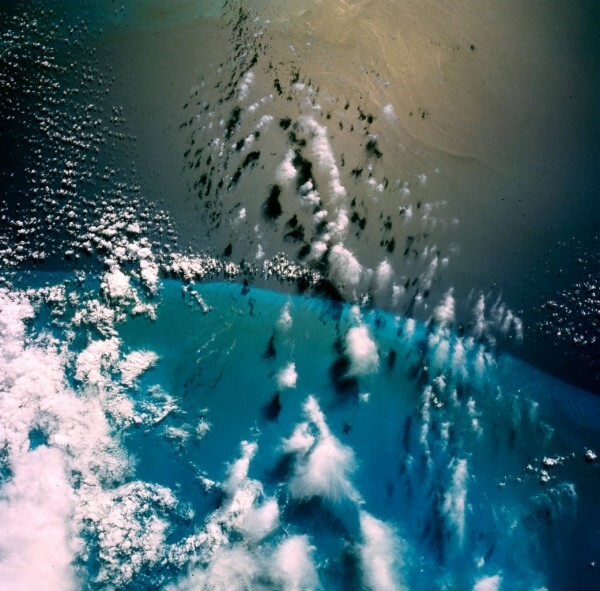 This photograph of the Florida Straits and Grand Bahama Bank was taken during the Gemini IV mission during orbit no. 19, on June 4, 1965, with a Hasselblad camera and a 70mm lens. The Gemini IV crew — astronauts Jim McDivitt and Ed White — conducted scientific experiments, including photography of Earth’s weather and terrain, for the remainder of their four-day mission following White’s historic first American spacewalk on June 3. Astronauts have been photographing Earth from space since the early Mercury missions beginning in 1961. Today, they observe the Earth from their unique point of view aboard the International Space Station, providing researchers with key data and recording changes over time from human-caused changes like urban growth and reservoir construction, to natural dynamic events such as hurricanes, floods and volcanic eruptions.